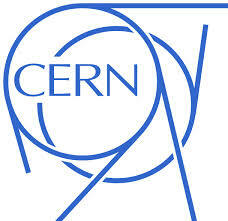 The strange Cern symbol is not hard to read. 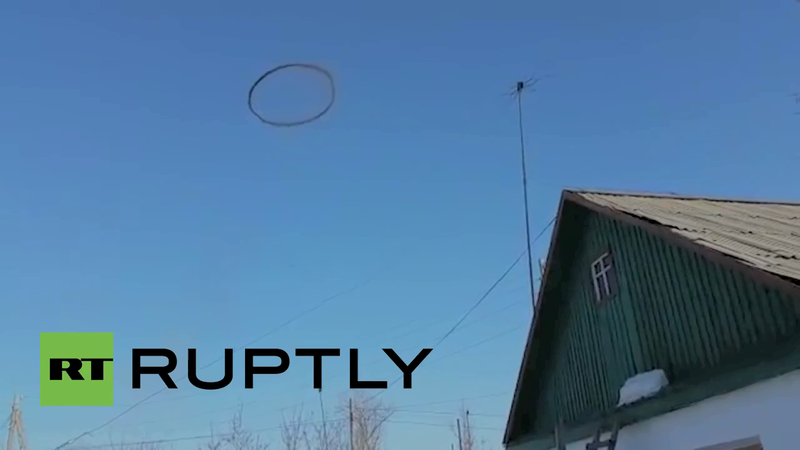 Beyond Strange Ring in Kazakhstan. Kazakhstan is not close to Switzerland so this is probably just an interesting coincidence. These phenomenon occur relatively frequently so there may well be no connection between the two events in Switzerland and Kazakhstan. Still it is an interesting confluence of events. Triple Sixes in the Gap in Time Between Foundation and Realisation? I also noticed another funny little anomaly, according to Wikipedia, “The convention establishing CERN was ratified on 29 September 1954”. 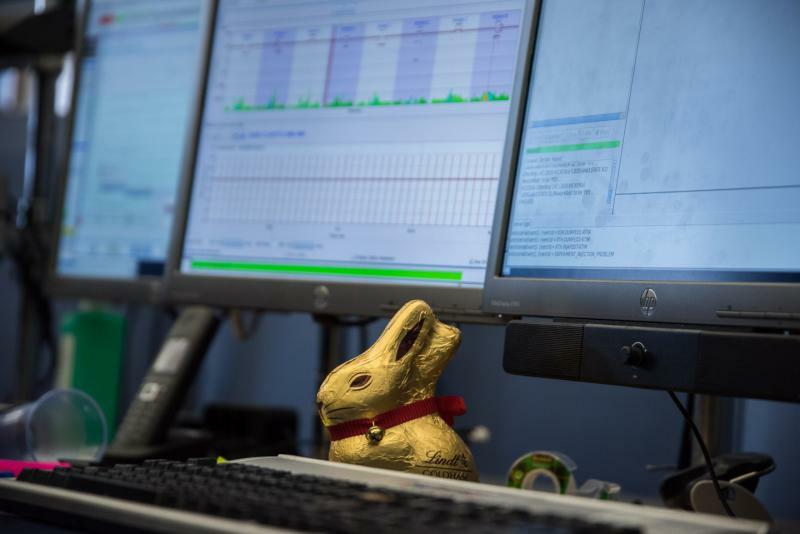 The LHC was restarted on April 5th, 2015. The gap between the 29th of September 1954 and April 5th, 2015 seems to be 60 years, six months and six days if you count it as the final two days of September plus the first four days of April. From another perspective, the event happened 60 years 6 months and seven days later given that the event took place on the 5th of April, but there does appear to be a gap of sixty years six months and six days between the two events, which does seem an odd coincidence when you look at the logo of CERN and see the stylised repeated sixes there. 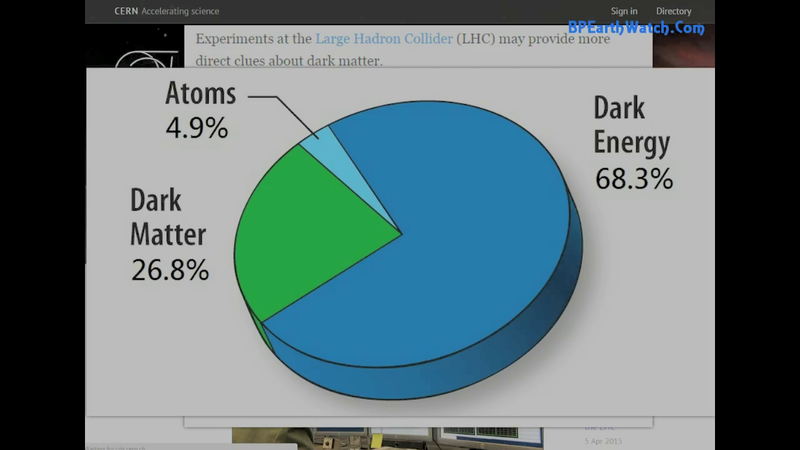 BP Earthwatch still, the supposed composition of the universe represented as a pie chart. 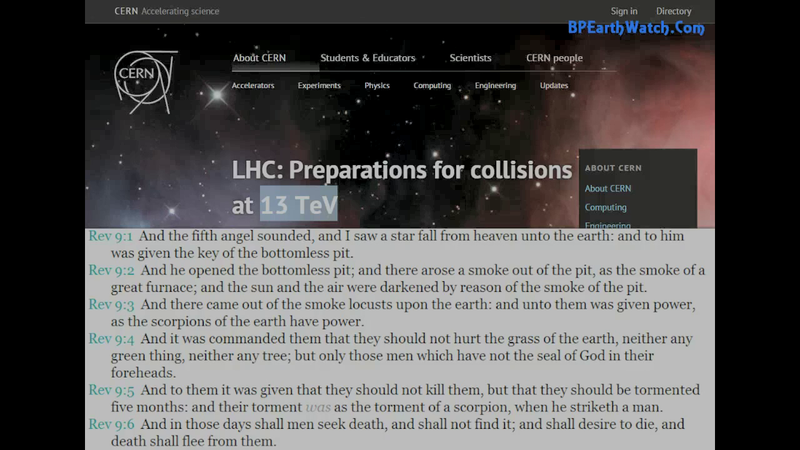 Quotes from the Book of Revelations that BP Earthwatch considered relevant possibly to the CERN project. 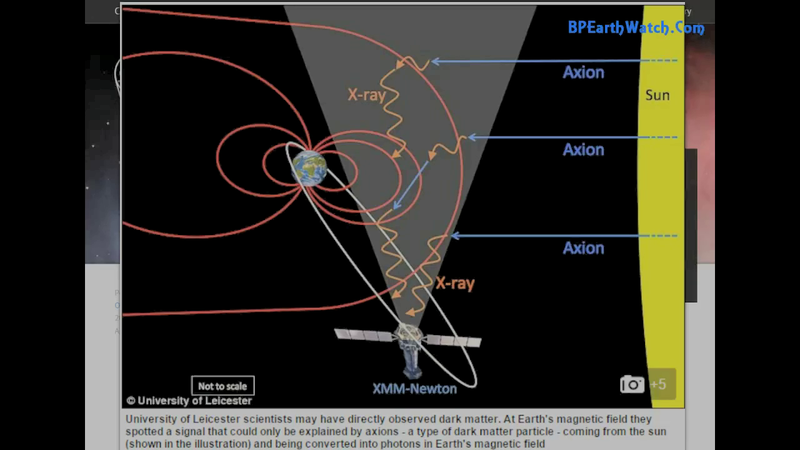 Graphic shows the proposed conversion of dark matter from the sun by the earth’s magnetic field. The strange circle in Kazakhstan. 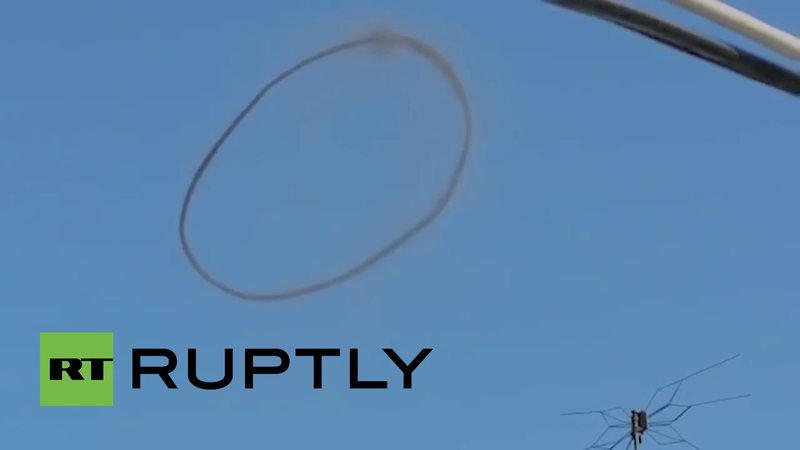 Close up of the strange circle in Kazakhstan. 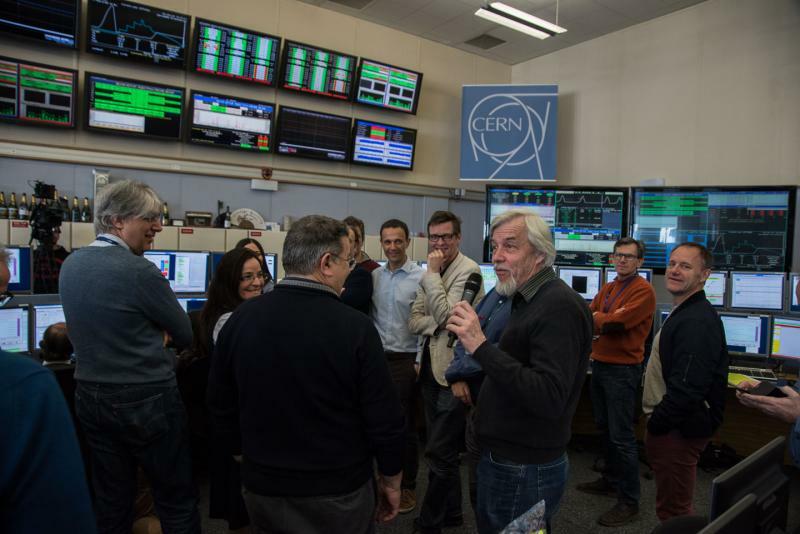 Scientists and technicians in the LHC operations room. 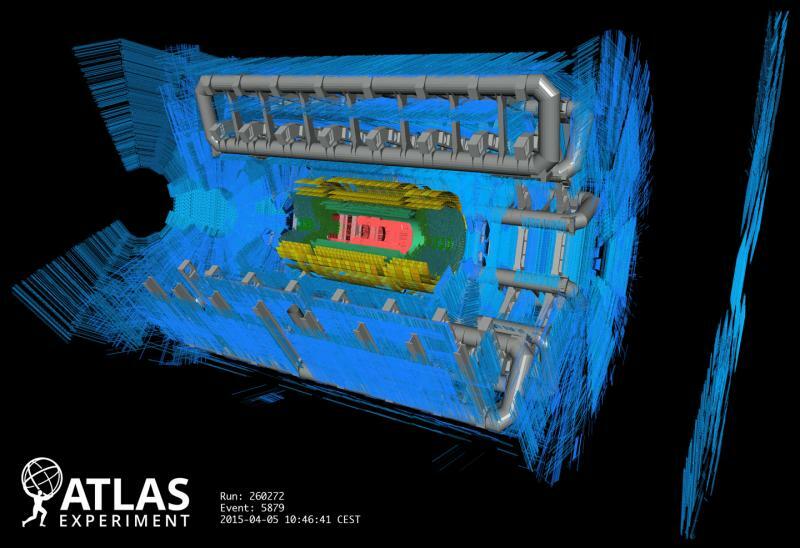 Diagram of part of the LHC. Note the reassuring Atlas reference. Always a sign you are dealing with quality people! The rabbit recalls the very strange movie about time travel and inter-dimensionality (and teenage angst) Donnie Darko. Though it is probably just a symbol of Easter! ← Jericho, 911 and the Big One. I had my first job at CERN: to diagnose software problems of later Nobel prize winners like Carlo Rubbia and Jack Steinberger. When I came there, I thought they knew about god, because they know about the largest and the smallest. 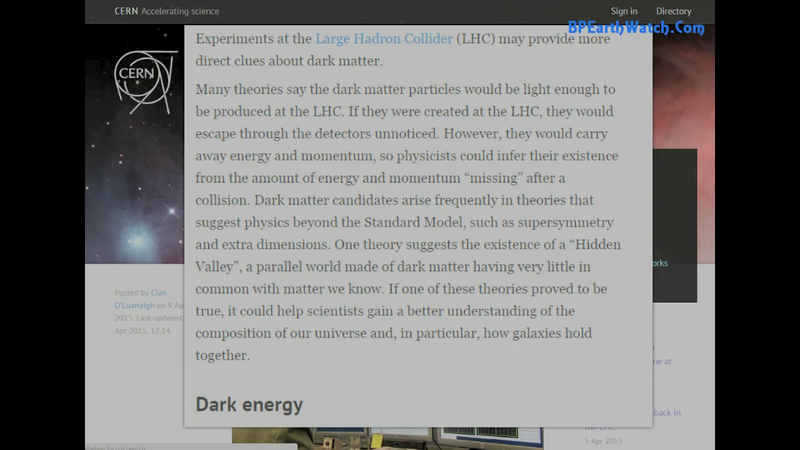 Of course the truth is that astrophysicists can NOT speak to nuclear physicists! When I got bored, I was sent on an exchange visit to Lawrence Radiation Lab in Berkeley but had a serious car accident on the way which threw me out of the golden cage into real life. In 1996 I re-visited maths through the eyes of a mature programmer and had very astounding insights. A patent lawyer told me I can’t patent theories, I must produce ‘vendible products’. 2006: http://3d-metrics.com/wordpress/about_3d_metrics/sponsor and re-visited on a number of occasions in my attempts to collaborate. But the gap is wide between free spirits and institutionalised thinking and above all financing. Scientifically, I found that metrology is the missing link that Einstein was looking for when maths didn’t prove physics. Hence I call my work 3D Metrics. But practically and, above all, economically, I am expecting to receive data any day now to keep me busy so that a programmer translates my scientific insights via my software designs into workable code. Thanks Sabine. I will try and read the material and hope to understand some of it! I may be rather out of my depth on this subject,thanks very much for the comment.